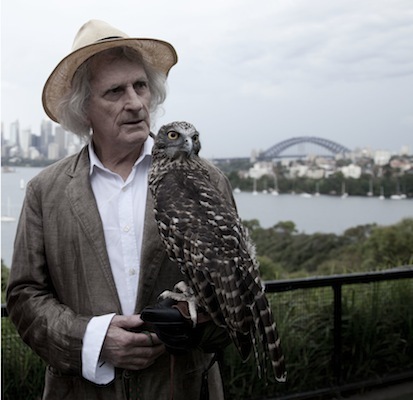 The New Writing Series, in collaboration with the Honors College, presents a reading by the Australian poet Robert Adamson on Thursday, April 2, at 4:30pm in the Allen and Sally Fernald APPE space in 104 Stewart Commons. The reading will be followed by a Q&A with the author. It is free and open to the public. Robert Adamson is the author of more than twenty volumes of poetry, most recently The Goldfinches of Baghdad and Net Needle (both from Flood Editions). On Thursday, March 26, 2015, the New Writing Series celebrates the winners of the 2015 Steve Grady Awards for Creative Writing, who will read from their winning manuscripts. The event will be held at 4:30pm in the Allen and Sally Fernald APPE Space in 104 Stewart Commons and is free and open to the public. This year’s judges were Hoa Nguyen (poetry) and Jeff Jackson (fiction), both of whom read in the New Writing Series in the fall of 2014. The event will be hosted by Creative Writing faculty member David Kress. You’ll find brief biographical statements from the winners below. Chris Becker wishes she could be represented by an amorphous mass instead of a photograph. Though born and raised in rural New York, she only recently realized the appreciation the experience gave her for the terrifying emptiness of small town spaces. Her ongoing body of scholarly and creative work investigates the impact of distance and closeness on human relationships. She is Co-Recipient of the Ulrich Wicks Distinguished Teaching Assistantship for 2015-2016, a member of the English Graduate Student Association, and a fiction editor for the 2014-2015 issue of Stolen Island. Her hobbies include sleeping and watching Law and Order reruns, frequently at the same time. Taylor Cunningham is a third year student of English, Anthropology, and Folklore. She also poses as a philosophy student from time to time. Taylor is the creator and coordinator of a lecture series on Language and Culture, which addresses her love of human expression; the many forms it takes and the various communities that realize them. For nearly two years now she has been investigating the historical hermits of Maine under the term “hermitology,” but has only more recently noticed a growing resemblance to her wild, reclusive subjects. Rose Engelfried is currently obsessed with fairytales, and with all the dark things they tell us about ourselves. A fiction writer, poet, playwright and essayist, Rose has published work in Garbanzo literary journal, The Citron Review, The Story Shack, Vine Leaves literary journal, YARN, Stolen Island, and Pacific’s Literary Undergraduate Magazine (PLUM). Rose won first place in Graduate Fiction for her stories “Tiger Moon” and “In the Woods,” both of which will appear in her MA thesis this spring. Kristyn Gerow is an undergraduate English Major at the University of Maine. Her concentration is in creative writing, but she wishes she would concentrate more on her poetry technique in addition to fiction writing. She supplements her poetry deficiency by judging the student-run Poetry Slams. She is the fiction editor of the University’s 2014/15 undergraduate literary magazine, The Open Field. An avid dancer and writer, she hopes to translate her love of language and movement to others. Hannah Ruhlin is a senior at the University of Maine majoring in Women’s, Gender, and Sexuality Studies with a double minor in Creative Writing and Sociology. She is the 2014-15 poetry editor for UMaine’s undergraduate literary magazine the Open Field. Both her poetry and her new ventures into fiction focus on personal experiences with gender, mental illness, feminism, and a host of other topics. When not deconstructing gender through her writing, she enjoys spending time with her cornsnake Hans Less. Danielle Walczak is a New Hampshire native living in Maine. She studies journalism, creative writing and sustainable food systems at UMaine while serving as the Culture Editor of the Maine Campus. Her poetry has been published in The Open Field and she scored third place in UMaine’s poetry slam last fall. She is the winner of the 2014 Grenfell Prize for formal Poetry and the 2014 Grady Award for News Writing. Her interests are in literary journalism and being on mountains, whether it be skiing, hiking, or looking. She prefers beets above all vegetables in taste and color.